Published by: Constable and Robinson Ltd. When it comes to learning about keeping chickens, of course there are a plethora of books for beginners to choose from, yet Anne’s book, “A Family Guide to Keeping Chickens” immediately stood out to me as being different – it’s a book that the whole family could really enjoy. Anne lives in rural Wiltshire with her husband and started keeping chickens almost by accident when she was presented with a ready-made flock of twelve. She was soon captivated by their antics and set out to learn more about them and they became the inspiration for a number of articles published in Country Smallholding Magazine. 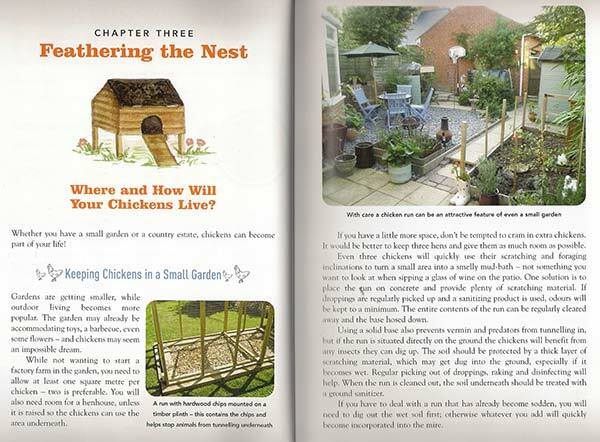 Anne’s practical observations and research led to her writing regularly for Your Chickens Magazine and now, she has written this book, “A Family Guide to Keeping Chickens”. With each chapter being beautifully illustrated, there is clear guidance on all aspects of chicken keeping for the beginner, including many colour photographs. There are ‘Did You Know / How To’ boxes within chapters and each chapter has a ‘Key Points’ section which summarises the key take-aways from the chapter, this is very useful if you’re dipping in and out of the book or need a reminder about a certain aspect of chicken keeping that you’ve read about earlier. The book is practical and answers many of the questions new chicken keepers have; from initial planning and accommodation, choosing poultry feeders and drinkers to choosing the right chickens, their routine care and keeping them safe from predators such as the fox to name but a few. 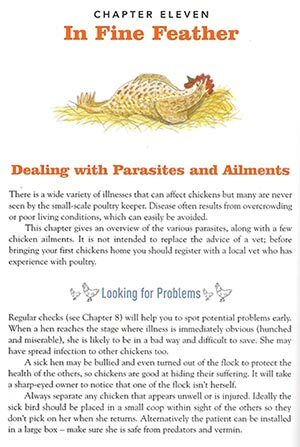 Worming and parasite control is also well covered which is so often glossed over in other books, yet is an important subject for newcomers to the hobby. At 258 pages, this isn’t a small book. I felt this was a real value for money book and I wondered if “A Family Manual for Keeping Chickens” would have been a better title. Each chapter is detailed and there is very little left out, there are even recipes for your eggs as well as hard to find information on preserving eggs in waterglass which I haven’t seen covered in any other books like this. Chapters are finished off with a bright and colourful ‘Kids Corner’ which includes a Quiz, Chicken Chat, Chicken Jokes and Something to Do for younger readers. My youngest daughter enjoyed a number of these but beware, young children do like to tell you the same joke over and over so you’ll soon remember the good ones! This book is a great read from cover to cover, but is also presented in such a way that you can dip in and out of it as needed. 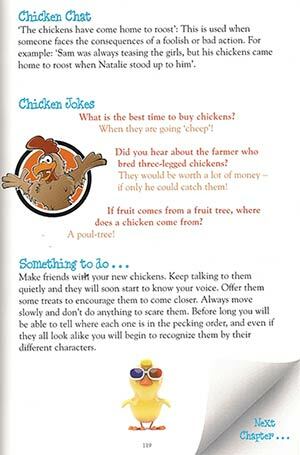 It’s a practical book providing sound advice for prospective back-yard chicken keepers and their children who will certainly enjoy getting involved and yes, telling the jokes again and again! Anne’s book, is available on Amazon at £9.09 at the time of writing. Have you read this book? If so, please leave your review in the comments box below to let me know what you think.